Location: Flanking the N side of the gated N drive to Cresselly House. Built after 1864, but contemporary with the 1860's enlargements to the house and estate improvements by Clarke and Holland of Newmarket for Lady Catherine Allen. Cresselly House was built c. 1770 by John Bartlett Allen. 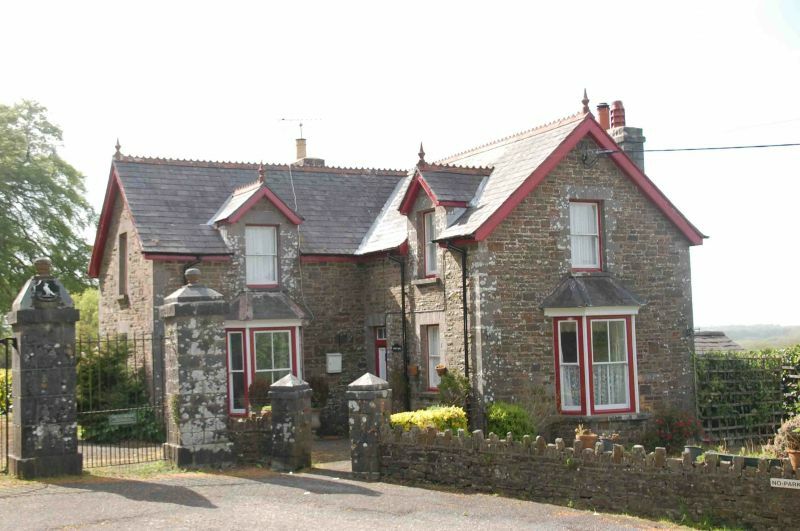 L-plan Victorian stone lodge. 1½ storeys under slate roof with tiled crestings and finials, plain bargeboards and oversailing eaves; ashlar dressings and 4-pane horned sash windows. 1-window gable to main road with splayed ground-floor bay. Inner angles have single-gabled dormers, a splayed bay to ground floor left and 4-panel door to right.